Joan Turley began her career an as academic majoring in Modern Languages, winning the French Government Medal for her language abilities. After her PhD studies, she specialized in the application of English for International Business, followed by three years with a global strategic research company, applying cultural values to the analysis of business and competitive information. For the last ten years, Joan has focused on applying extensive cultural skills to enhancing clients’ business performance in China and other territories. She has delivered successful training seminars and Masterclasses for organizations such as the Lloyd's Market Association, the Institute of Directors (IOD), International Business Wales and United Kingdom Trade and Investment (UKTI). 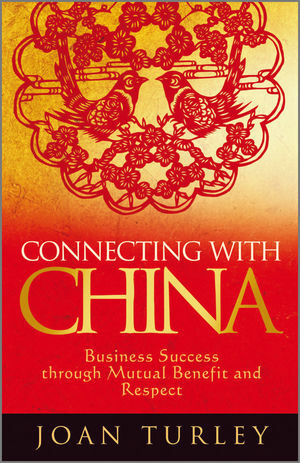 She is highly regarded by organizations such as Cathay Pacific for her contribution on China. In recent years, she has specialized in consulting, public speaking and media interviews in the UK and China to building company profiles and representing clients' interests on mainland China. Her achievements include gaining major government approval for company activities, developing initiatives for Chinese CEOs to gain cultural protocol training on dealing with the West, and participating in the negotiation of a joint venture with one of China's largest media companies. Joan has held speaking engagements at major Chinese Universities and has participated in high level meetings spanning both the private and public sectors in China. She is currently continuing her own professional development with an honours degree in Chinese for professional application.